We've teamed up with BetVictor to bring you the latest racing news. Goodwood received 5mls of rain overnight on Monday and the ground was reported as good ahead of Tuesday’s opening day on the Sussex Downs. There is no further rain forecast for the rest of the week and there should be no excuses today for the feature race the Gp 1 Sussex Stakes. Sir Michael Stoute saddled the first two home in the King George on Saturday and his Expert Eye (3.30) did us a favour at Royal Ascot when winning the 7f Jersey Stakes. The 3-y-old looked a future star when winning the Vintage Stakes here 12 months ago but was slow to come to hand this spring and was well beaten in the Guineas. He must prove he stays a mile, but this easy track should suit and at 9/4 with BetVictor I will be disappointed if he doesn’t go close. The unbeaten 3-y-old Without Parole rates a big threat and, of the older horses, I feel Lord Glitters (14/1 with BetVictor) might reverse recent Ascot form with Beat The Bank. The opening Goodwood Handicap over 2m 4f the high-class staying hurdler Lil Rockerfeller (7/2 with BetVictor) is well treated on his best form but he ran poorly on his last couple of start over obstacles and he looks short enough in the market. Kloud Gate and Coeur De Lion are closely matched on Newbury running last month and must go close but Imphal (1.50) has always struck me as the type who would improve for a thorough test of stamina and at 9/1 with BetVictor he can reward each way support. The form of BetVictor’s 4/1 favourite Making Miracles’ win at Haydock over 1m 6f has not worked particularly well and he is overlooked in the 12f 3-y-old handicap in favour of Infrastructure (2.25). The each way selection is 13/2 with BetVictor and showed improved form when stepped up to this trip when scoring at Salisbury on fast ground last time. Jamie Spencer is suspended so Luke Morris rides Four White Socks (4.45) for Luca Cumani in the 10f fillies handicap and I hope she can return to winning ways on a track that saw her break her maiden tag back in June. I was disappointed with the selection stepped up to listed company last time, but she is held in some regard by the yard and looks sure to run well, although she can hardly be described as being “thrown-in” from an opening mark of 97. The Galway Plate was won by Balko Des Flos 12 months ago And Henry De Bromhead’s chaser went on to win the Ryanair Chase at the Cheltenham Festival! Tully East would have been the selection on decent ground but there is significant rain forecast for the track today. I’m going to take a chance on Noel Meade’s Snow Falcon (7.20) who bled from the nose on his last start but has a good record fresh and can race off a mark 9lbs lower over fences than over timber. I feel this trip should be ideal for the 8-year-old who represents a yard who won the race back in 2014. The selection is 16/1 with BetVictor and is the each way selection. He will be no price but the Aintree Bumper winner Portrush Ted (1.30) makes his hurdle debut over 3m at Perth this afternoon for Warren Greatrex. The selection is the brother to a couple of jumps winners although I must admit I am surprised that he is beginning life over timber at this staying trip. Go West Young Man blotted his copybook at Market Rasen last time when he ran out, but he had previously beaten Honourable Gent (2.00) but I feel the latter can reverse the form on 5lbs better terms. All five runners have realistic chances but I just feel there might be more to come from the Rose Dobbin trained runner. I’m looking forward to seeing Jovial Joey (3.45) drop back in trip having travelled well but blundered at the last when third at Cartmel last month. That was only nine days ago but I feel he would have a leading chance if over those exertions. History Writer (7.30) was taken out of a couple of races on account of the prevailing fast ground and the hope is that the good ground at Sandown is considered suitable this evening. 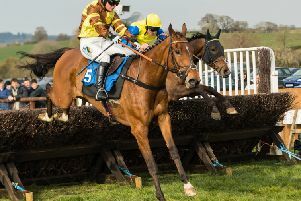 Ledham is an unexposed type who could be well treated on his handicap debut although he must show he can transfer his all-weather form to turf. Artamon (8.35) looks the type to appreciate the step back up to 1m 6f in the Sandown finale for Michael Bell. The selection was beaten 4l over C&D from a 1lb higher mark back in June, but he was held up on that occasion and I would expect him to be ridden more prominently this evening.